Planning an overseas holiday? We can help you access your money so you can make the most of your trip. Wherever you go and whatever adventures you find, we can help give you easy access to your money while you’re overseas. A Visa Debit card can be used to make purchases and ATM withdrawals while overseas. Best of all, it only uses money from your own account and because it’s a Visa card, you can use it anywhere Visa is accepted around the world. Our Value+ Credit card can be used for purchases and cash advances, offering competitively low rates and up to 55 days interest free on purchases. The Value+ Credit card can be used wherever Visa is accepted worldwide. 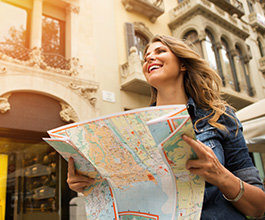 A Cash Passport™ Platinum Mastercard®† can be a great option if you’re planning on visiting a number of countries while travelling. You can load multiple currencies~ onto the one card and enjoy easy access to your money wherever Mastercard is accepted>. It’s easy to reload and comes with the security of chip and PIN protection. #Applications for the Value+ Credit Card are subject to Newcastle Permanent's approval. Fees and charges may apply. Full Conditions of Use are available on request and will be included in any loan offer. ^^The Visa debit card is available subject to approval. †Mastercard Prepaid Management Services Australia Pty Ltd (ABN 47 145 452 044, AFSL 386 837) arranges for the issue of the Cash Passport™ Platinum Mastercard® (“Cash Passport Platinum”) in conjunction with the issuer, Heritage Bank Limited (ABN 32 087 652 024, AFSL 240 984). You should consider the Product Disclosure Statement for the Cash Passport Platinum available at www.cashpassport.com.au, any branch of Newcastle Permanent Building Society Limited ACN 087 651 992, Australian Financial Services Licence 238 273 (“NPBS”) or by phoning NPBS on 13 19 87 before deciding to acquire the product. 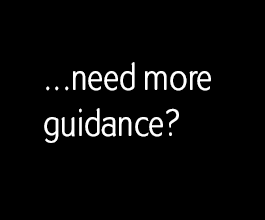 Any advice does not take into account your personal needs, financial circumstances or objectives and you should consider if it is appropriate for you. Mastercard® is a registered trademark and the circles design is a trademark of Mastercard International Incorporated. We may receive a commission for Cash Passport Platinum sales. Full details can be found in our Newcastle Permanent Financial Services Guide or by calling us on 13 19 87. ~Before you make a decision to acquire the card, please check www.cashpassport.com.au for the latest currencies supported.